Ah, the Labor Day weekend, our final farewell to summer; picnics, boating, family and drinking. It’s that last part that is cause for concern and should be for everyone. There were 28 traffic fatalities on Labor Day weekend in 2014 in Texas and twenty-two of those deaths had alcohol involved. Sobering statistics, at least we hope so. 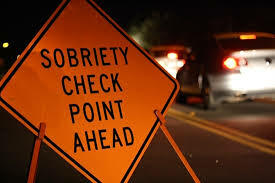 To crack down on drunk drivers during this holiday weekend, the DPS will be out in force using road checks and stepped up enforcement to minimize the number of drunk drivers on Texas roads. To eliminate fatalities completely is the goal of the Drive Sober or Get Pulled Over Campaign. Aimed at protecting drunk drivers from their own destructive behavior, the National Highway Traffic Safety Administration (NHTSA) has established this program nationwide to educate people on the facts about drinking and driving and ways to protect yourself and others. Go to nhtsa.gov/drivesober to see videos and get more information. *Keep people active with outdoor sports and events. *If you serve alcohol be sure to serve plenty of food as well so that drinking is not the focal point. *Make sure to have plenty of water and soft drinks on hand as an alternative to alcohol. *If someone drinks too much DO NOT let them leave. Have someone take them home or call a cab or one of the many free alternatives for rides, such as SaferRide mobile app that will call a cab or friend for a ride home or SoberRides.org. that helps you arrange transportation ahead of time or on the spot plus it has a lot of good information about how much is too much. *Pace yourself if you are drinking. Be the one that makes sure everyone else gets home safe. Make it a fun transition from summer to fall and keep yourself and your loved ones safe by paying attention to alcohol consumption. For more information on the effect of alcohol on driving just log into wirelessdefensivedriving.com. I wonder who first said such a seemingly obvious quote, and who of those listening seemed previously unaware of this fact. Perhaps I take for granted the basic level of biological understanding we receive, but the fact remains: the health and well-being of children, whether our own or not, is a paramount concern. While it’s not something we should need to be reminded of often, it most certainly never hurts. Now, when the countrywide-chaos of school starting arrives and fleets of yellow 36-footers descend upon the streets, could be an especially poignant time to be reminded of how to stay safe when it comes to school buses. 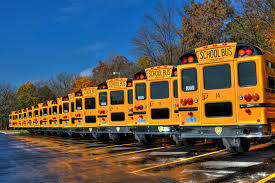 Aside from the unavoidable growing pains the inside of an elementary, middle, or high school bus can bring, it’s actually the safest way to commute to and from school. While dealing with a bully on the bus is for a different blog, the odds of being in a fatal traffic accident on a bus is significantly less when compared to other forms of transport (walking, by car, by bicycle, etc.). In fact, the odds of being in a fatal accident when a teenager driver are 58-times worse than when compared to a bus. *When waiting for the bus you should stay out of the street. *At the bus stop, line up at least 10 feet back from the curb. *Wait until the bus stops completely and the driver has said it is safe to board. *If you have to cross the street to board the bus, wait until the driver has the red lights flashing and the STOP sign out. Always look both ways. 3) The lights are no longer flashing. Failure to do this will result in a fine of $500 to $1250. 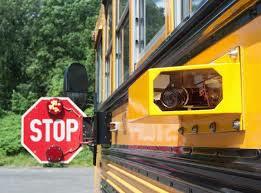 Many Texas cities are equipping school buses with cameras to record infractions. In Texas there are two new laws in effect: One banning teen drivers from using cell phones and text messaging devices; the other prohibiting drivers from using handheld cell phones in school crossing zones. It does not apply to vehicles that are stopped, or drivers using a hands free device. Educating our children includes teaching them how to be safe in and around a school bus. Keeping them safe includes all of us following the rules of the road. 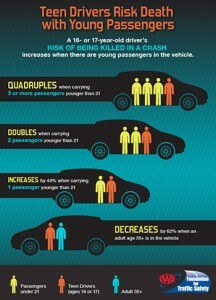 For more information on this and all other driving topics, log into Wirelessdefensivedriving.com. Your coolant is your friend! 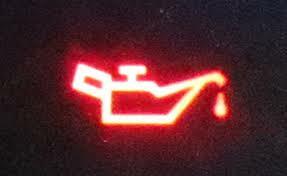 Check your coolant level because a low level could cause your engine to overheat. 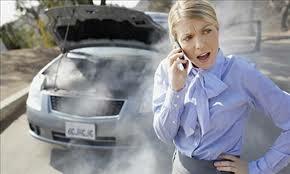 But be sure not to open a HOT radiator to check the coolant level because you can get badly burned. Always wait until the engine has cooled. If your level is low add a 50/50 mix of coolant and water to the radiator, never just straight water. The coolant helps to raise the boiling temperature in the radiator and protect against corrosion. Check your A/C. Nothing makes hot weather worse than a poorly functioning air conditioner. 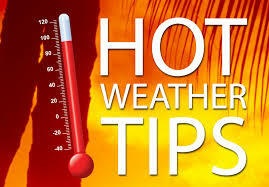 If you are not getting cold air from your vents then the refrigerant may be low. Your system may need to be checked for leaks before adding refrigerant. Check that oil. Fresh oil can increase the lubrication for your engine and help it to run more efficiently. If you have an older, high mileage vehicle it can be helpful to switch to heavier viscosity motor oil during hot weather. Synthetics can be even better for high temperatures. Be alert to your battery. The life of a car battery is 4 to 5 years. If yours is 5 plus years old it could need replacing soon. Hot weather is harder on batteries than cold weather because of the rate of evaporation of the liquid electrolyte inside the battery (if not a gel type battery). You can look at the date code on the battery to determine how old it is. Change out the windshield wipers. Wiper blades have a limited lifespan and summer can be hard on them. Sun exposure and extreme heat age the rubber and cause it to be brittle and crack. If you notice streaks or smears when used then it is time to replace them. Inflate those tires. Underinflated tires can make them run hot and increase the chance of a blowout. Wax on protection. Like sunscreen for your car, wax or spray protectant helps to shield the paint from the ultraviolet rays. Taking just a few steps to protect your car in the summer heat can help you have a more carefree and safe summer. For more tips on driving or any driving related matters, check us out at WirelessDefensiveDriving.com. 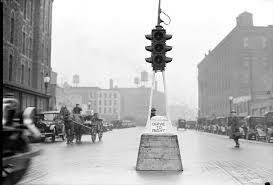 Hard to believe but it has been 101 years since the first electric traffic light was used in the U.S. Installed at the corner of 105th and Euclid in Cleveland, Ohio, these first lights only used red and green so drivers had to be quick on the brakes. Engineers installed a pair of manually operated green lights and red lights facing each side of a four-way intersection. Some people don’t understand the rules of a four way stop but its goal was really to relieve the police of the dangerous duty of standing in the street directing traffic. They could sit in a booth next to the intersection instead of standing dangerously in the middle of it. Gas traffic lights were actually introduced in London in 1869 outside the House of Parliament, but were abandoned because they had a tendency to explode, once badly injuring a policeman. Need more traffic light trivia? The first three color traffic light was built in Detroit in 1920 and the first “Walk/Don’t Walk” traffic lights were installed in New York City in 1952. So let’s give credit where credit is due. Lester Wire, a former detective in Salt Lake City, is the innovator responsible for this revolutionary idea in 1912. It wasn’t long before they were springing up all over the states. Early models used bells to signal the changing of red to green to alert drivers of the need to stop soon. This was later replaced with the yellow light we all know and love. 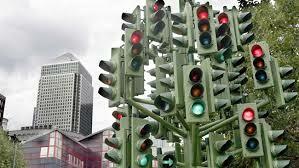 Today we use traffic signals, signs and markers to help provide for the orderly movement of traffic. Drivers must obey these signals except when an officer is directing traffic. You must obey a traffic officer at all times even if he or she is telling you to do something which is ordinarily considered against the law. So we at wirelessdefensivedriving.com give pause and tribute to the often hated, frequently cursed and seemingly always red, traffic signal. Now quit looking at your phone and drive, it turned green half a second ago and you are just sitting there! I was reminded the other day of how important seat belts are. While traveling on the highway I observed the minivan in front of me that seemed have a lot of action going on inside. It was apparent to anyone in the vicinity that none of the 3 children in the passenger or back seat were wearing their seat belts. As I watched in astonishment I saw them hopping from one seat to another and generally causing chaos. What was this parent thinking? 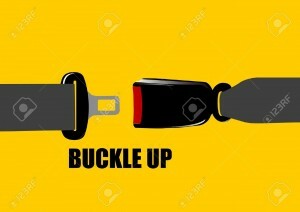 In 2012 about 12,174 people lived because they wore seat belts in Texas. An additional 3,031, age 5 and older could have lived if only using a seat belt. Those are unbelievable numbers for something that is so easy to do. *”It is uncomfortable”. Compare this discomfort to spending months in a hospital or learning to walk again. Seems like a small price to pay. *”I have an airbag”. Airbags are designed to work with seat belts, not instead of them. Airbags increase the effectiveness of seat belts by 40%. And if you don’t have side bags then the seat belt plays an even bigger role in keeping you safe. *”I am only going down the road”. 80% of traffic fatalities happen within 40 miles of home. *”I am a safe, careful driver”. Maybe so, but are all other drivers? *”I will just brace myself”. You may think so but a 50/mph crash has the impact of falling from three floors. *”A seat belt will trap me in the car if I crash”. That is exactly where you want to be – in your car. If you get ejected during an accident you are 25 times more likely to die. Take the time and the little bit of effort to use a seat belt for yourself and your children. It is not only the law it is the smart thing to do. And if you need more information about seat belt safety or other driving topics, visit our Driving Resources section! DOES YOUR DOG WEAR A SEATBELT? WELL, MAYBE HE SHOULD! Posted in Defensive Driving | Comments Off on DOES YOUR DOG WEAR A SEATBELT? WELL, MAYBE HE SHOULD! Here at WirelessDefensiveDriving.com we are all about passenger safety while riding in an automobile. Everyone in a car should have a seatbelt, not only because it is smart but it’s the law. But when our passenger is the four legged sort we have no laws but we do have some options. Recently on the NPR blog for the show “Car Talk” they had two experts address the issue of all things animal and automotive, focusing primarily on dogs. Dr. Sip Siperstein and trainer Melissa McCue-McGrath share their knowledge of seat belts and other restraints for our dog passengers. Seat harnesses – There are many options out there and part of what you choose depends on the size of your pet and the size of your car. A crate is recommended over a harness but do not fit in many cars. 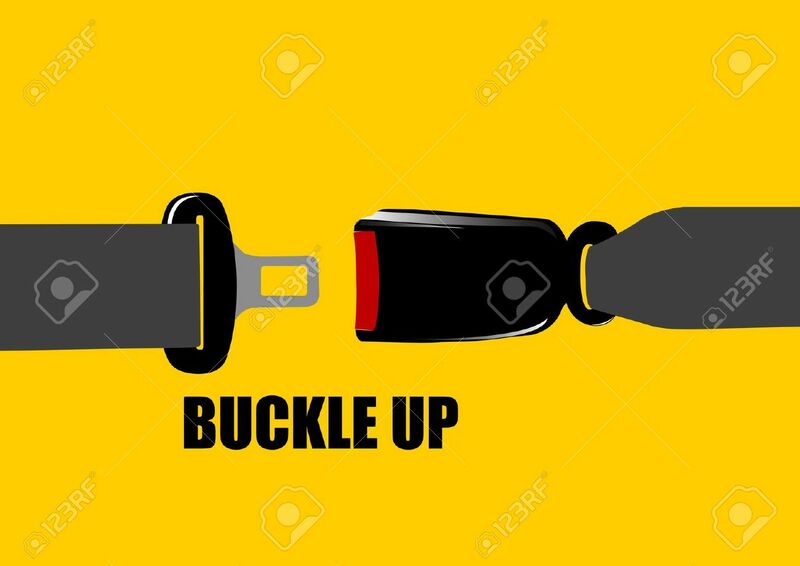 Seat belts usually involve a harness of some type that the seat belt attaches to and that can be used outside the car as a walking harness. This can prove to be very convenient. But seat belts as these have their limitations. These restraints can keep your dog in place before an accident occurs, which is a good thing, but can be uncomfortable and too restraining at times. If you love the idea of a seat belt there are great ones out there. Our authors recommend Sleepypods Clickit Utility Harness. Any harness you buy should be researched thoroughly to be sure it is well designed and has passed safety tests. Gate dividers – Dr. Sip uses a gate divider, which come in many shapes and sizes, as well as materials they are made from. These are very practical if you have a large car such as an SUV and a large breed dog. If your dog is well behaved then a mesh divider would be better than metal. If you have a chewer on board then something more substantial is best. Be certain that it is installed properly or you can have a smart dog crawl under it or around the edge. Crates – A crate is the absolute safest restraint of all for your pets. Safer for them, for you and for people in other cars who want to wave to the cute doggie and end up rear ending the car in front of them. Dog trainers are huge fans of crates, especially if you have a dog that is sensitive or reactive to everything going on in a car. You can also throw a blanket over it to minimize the visual stimulation. Whether you are protecting yourself or your pet in a car, restraints are a must. And if you need more information about anything driving related just log in to WirelessDefensiveDriving.com. Each year Memorial Day indicates the start of the deadliest season for teen drivers. These dangerous days are book-ended by Memorial Day and Labor Day. Defensive Driving Educators teach and work with teens about practicing their defensive driving skills all year around. However, no one has as much influence on them as the parents do. 1 – Friends are deadly. 2 – Turn the phone off. Of course the word ‘phone’ is nowadays a misnomer. ‘Phones’ are no longer just devices used to make phone calls; they are in fact portable computers/entertainment devices. Turning the mobile device off is really the only way to make sure extra distractions are not impeding the teen’s driving focus. Even if the teen is not actively engaged and looking at their device, the sounds, screen flashing, buzzes and vibrations caused by the Tweets, post notifications, etc… etc… will take the driver’s attention from the driving task. This is a good but intense short video produced by the NHTS to illustrate the point. 3 – Wear the seat belt. Amazingly enough, the concept of wearing a seatbelt is still not widely accepted by teens and for that matter some adults. The NHTS reports that of all the teens involved in fatal crashes, 60% were not using a seat belt; SIXTY percent! 4 – Experience is everything. Parent, please get in the car with your teens as often as you can and drive together. Monitor, observe, instruct and just spend time with your teen while driving. There are even websites like driveithome.org that have weekly tips for parents driving with their teens. Of course there are many other things that can minimize the chances of accidents. Things like, no driving during dark hours, of course no drinking, getting enough sleep during the night. With all the teens being mostly out of school at the same time, driving together trying to have fun, the risk factors increase dramatically. Please talk about the defensive driving attitude and driving safety with your kids as often as possible. Have a great, safe summer and check out this great infographic below. NOT SO FAST! DRIVING SLOW CAN GET YOU IN TROUBLE. Have you ever found yourself behind a car that is going at least 10 miles under the speed limit? We all have and we have all felt the frustration build as we attempt to change lanes to go around. Has the thought ever crossed your mind that it should be illegal to drive that slowly? But are tickets really issued for this behavior? Absolutely! And the ticket counts the same as any other driving violation, with an impact on your driving record and insurance. These laws do change from state to state however. In some states they are allowed to set a minimum speed limit on highways and will ticket you for going under that limit. 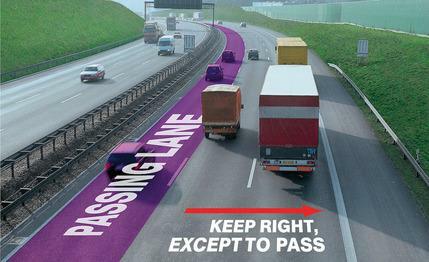 Plus, there are laws on the books that dictate that you must be in the far right lane to go slower than the flow of traffic. A U.S. government researcher, David Solomon, found in studies that those drivers going the median speed of all traffic had the lowest risk of collision. Those that were going at speeds below the average traffic flow had a sharp increase in crash risk. 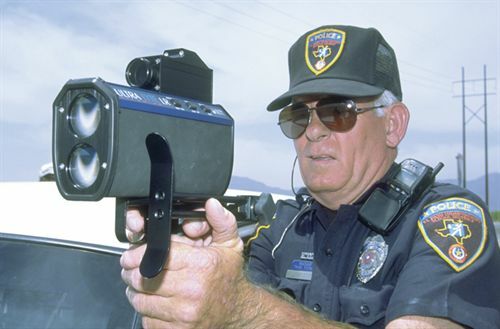 In 2010, The Texas Highway Patrol wrote 23 tickets for “a speed under the minimum”. Doesn’t sound like a lot but it still happens. So next time you see that one driver who has to block up the lane by driving 10 miles under the limit, just remember that they will be penalized if caught and to be more cautious and aware about getting around them. And remember that anytime you need a refresher course on driving safety in Texas just sign in to WirelessDefensiveDriving.com. We are always here for you! 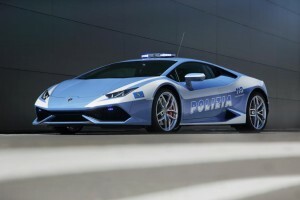 Speeding Tickets, Speed Demons and Lamborghini. 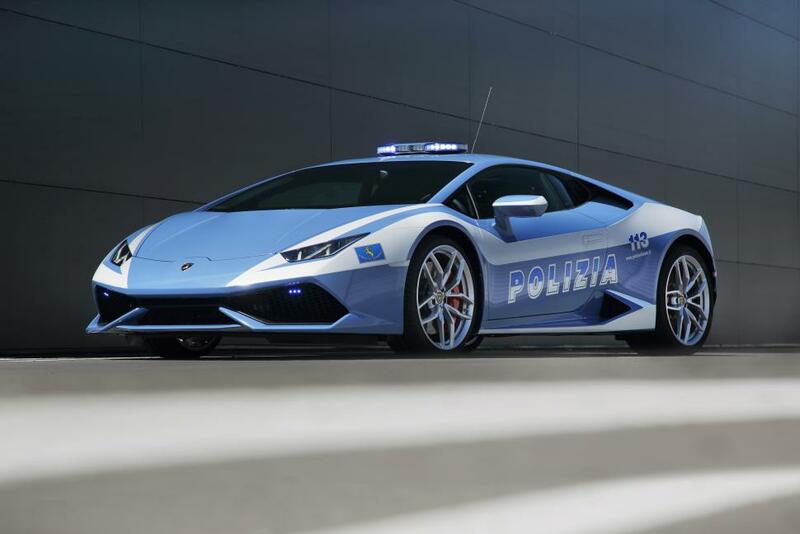 Posted in Defensive Driving, Defensive Driving Blog, Uncategorized | Comments Off on Speeding Tickets, Speed Demons and Lamborghini. Police have been giving speeding tickets for a long time. 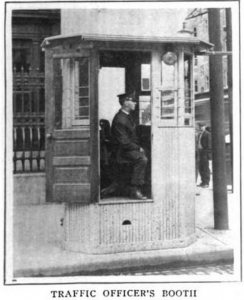 The history is a bit unclear but it sounds like the very first fine for speeding was imposed in New York City in 1899 to Mr. Jacob German, a cab driver. A cab driver in New York City speeding? That was just destiny. Mr . German was arrested but was not given a proper ‘ticket’. The first actual paper ‘ticket’ seems to have been given in Ohio in 1904 to Mr. Harry Myers. Both speed demons were traveling at a mind blowing speed of 12 MPH. In 1908, again in New York, police officer William Seaman riding this gorgeous Indian motorcycle, chased down a Mr. Jones also riding a motorcycle at the neck breaking speed of 39 mph. Mr. 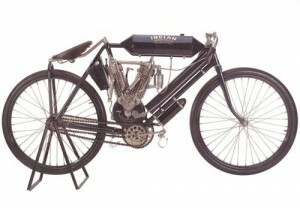 Seaman V-twin Indian was at the time one the most advanced bike in USA. Cars and motorcycles have certainly gotten faster since then but so have the police. Now an officer ‘chases’ you down basically at the speed of light using either a radar gun or a speed camera (mostly in Europe). However, there is one police force that will use the opportunity not only to give you a ticket for speeding, but also to embarrass you, should you decide not to stop. 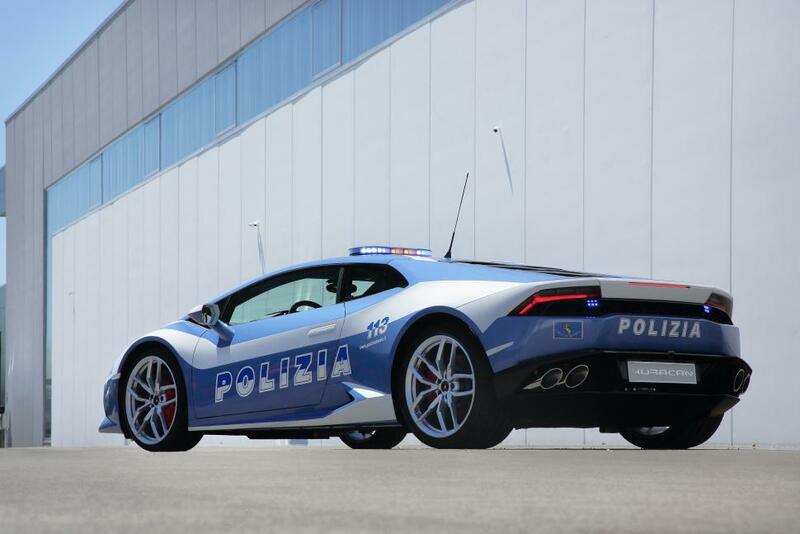 The Italian Police have just been given the newly released Lamborghini Huracan, a 202 mph beast with a 610 horsepower V10. The prices of the speeding ticket have obviously gone up as well over the years. From a few cents around the turn of the century, to the most expensive speeding ticket ever, an incredible $220,000 given in Finland to Mr. Salonoja for driving 80 km/h in a 40 km/h zone (50 mph in a 25 mph zone). Overall the US still has one of the lowest price tags when it comes to a citation for speeding. 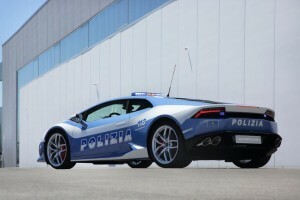 See what some of the other countries are giving as penalties for speeding and in some cases how the fine is calculated. Highest Fines: $623 and four points on their license. Achtung! If you were pulled over and got a ticket, either by a police officer riding in a Lamborghini or just by getting ‘lit-up’ by a speed gun, come and take defensive driving to learn or refresh your defensive driving skills. WirelessDefensiveDriving.com has a course you can take with you on your mobile phone, anywhere, anytime.